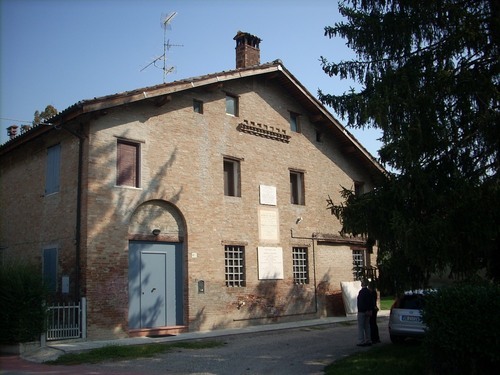 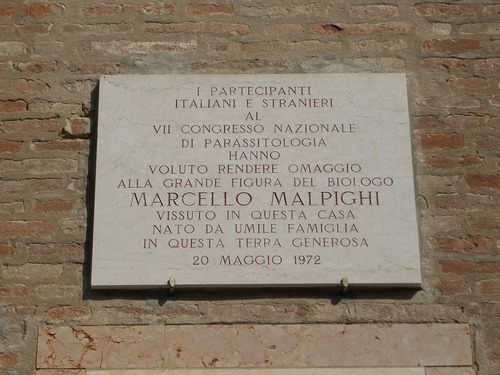 In this old country house just outside Crevalcore (via del Papa, just passed the cemetery on the right), where Marcello Malpighi lived, three memorial tablets remember the great scientist. 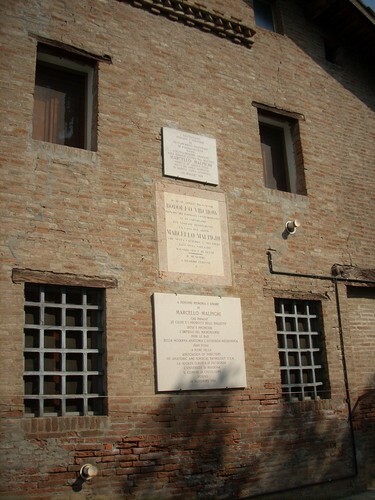 The oldest one remembers the visit to the house of Rudolf Virchow in 1898. 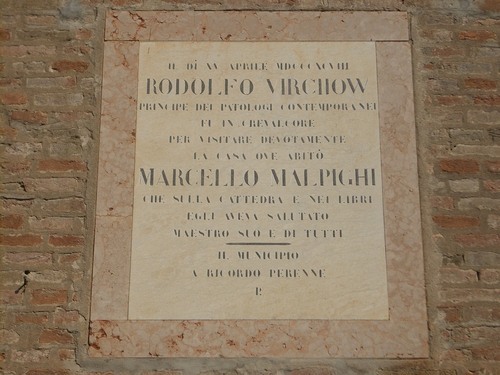 The italian inscription reads as follows: "IL DI' XV APRILE MDCCCXCVIII / RODOLFO VIRCHOW / PRINCIPE DEI PATOLOGI CONTEMPORANEI / FU IN CREVALCORE / PER VISITARE DEVOTAMENTE / LA CASA OVE ABITO' / MARCELLO MALPIGHI / CHE SULLA CATTEDRA E NEI LIBRI / EGLI AVEVA SALUTATO / MAESTRO SUO E DI TUTTI / —— / IL MUNICIPIO / A RICORDO PERENNE / P.[OSE]". 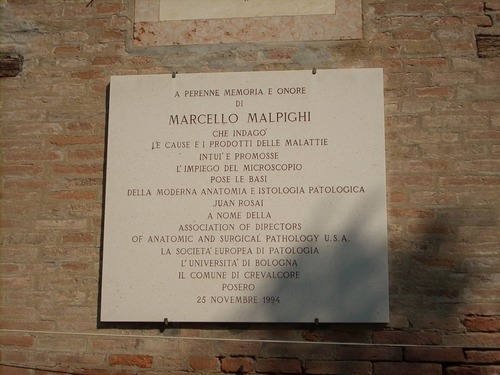 The second tablet is an homage by the VII Italian Congress of Parasitology (1972) and the third one is an homage by italo-american pathologist Juan Rosai on behalf of the Association of Directors of Anatomical and Surgical Pathology U.S.A. and by other Institutions (1994).